Caption slip reads: "Photographer: Miller. Date: 1976-07-31. Reporter: Massard. 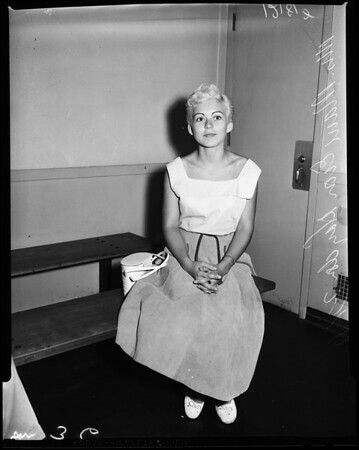 35/36/37/38: Mrs. Marie Evon Haydon, 20, holds up hands to show her 10-day sentence for reckless driving at L.A. Traffic Court".